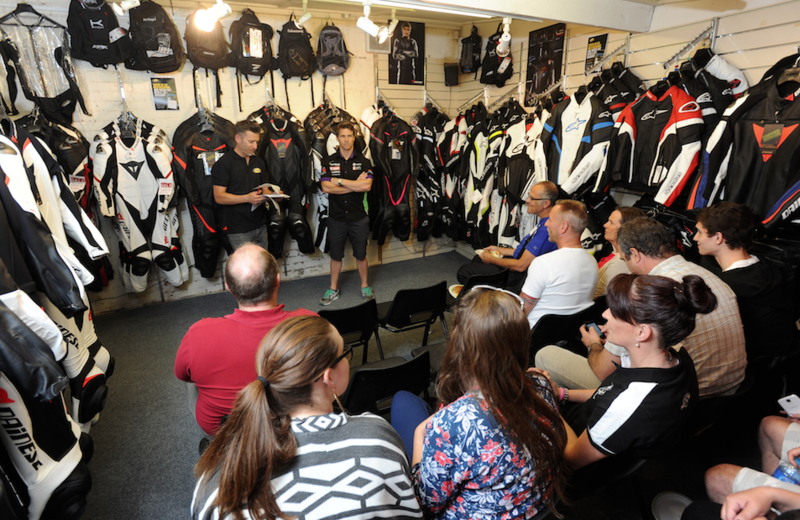 DURING a recent visit to MCA Leicester, BSB racer James Ellison took time out to answer some questions from his fans during an hour-long Q&A. The Lloyds British GBmoto Kawasaki rider revealed his side of ‘that’ Lorenzo incident, how special ‘fast socks’ make all the difference during races and how he seems to defy gravity around corners. Who would you say is the most important member of your team? It’s got to be my crew chief Matt Llewellyn. No one understands the pressures a rider faces better than him, because he’s been there, he’s done it and he’s got the T-shirt. He used to ride himself so there’s a mutual respect there that’s unbeatable. If you couldn’t be a racer, what would you do? It sounds strange now, but when I was growing up all I ever wanted to be was a vet! Seriously though, after I finish racing one day I really fancy setting up an expert fitness training camp in the U.S. for racers, particularly the up-and-coming ones in their late teens. That’s the time when they need to take their fitness and nutrition really seriously if they want to become the best. By their mid-twenties it will be too late. Was Lorenzo right to blame you for his crash in Valencia? Absolutely not. I’ve said it before and I’ll say it again - I was not to blame. This was a real bone of contention for me at the time because he spoke to the press and then later claimed he had not meant it. I won’t dwell on it, but I wasn’t at fault. How do you defy gravity on corners? It’s actually much easier than it looks - it’s all down to the grip of the tyres. 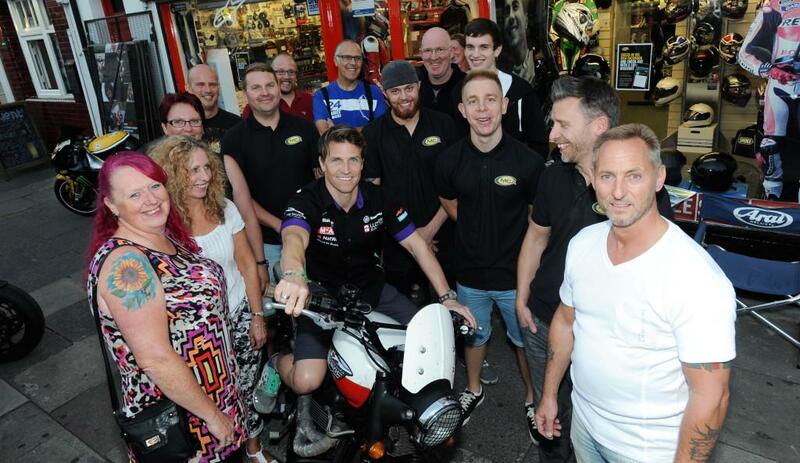 The grip on the tyres of the bikes we ride for BSB really is something else - it’s so different to normal. The result looks great on TV but it really isn’t that hard. I wouldn’t go trying it on a road though - stick to the track! What's the best track you’ve ever ridden? It’s a slightly surprising one actually - the Istanbul track in Turkey. It’s a phenomenal track to ride; wide and fast and just loads of fun! How do you handle pre-race nerves? I don’t, even now! I never get rid of them completely… in fact I’d be worried if I didn’t get them before a race. I can’t stomach eating anything for hours before each race starts so I have to get up really early and eat a huge breakfast so I know I’m fueled for the day ahead. Not really… my pre-race plan on the day is just to be as normal as I possibly can. I relax in the trailer or see my family. The way I see it, I’ve already done all of my preparation during the week at the gym or on the track. By the day of the race it’s too late to do anything different so there’s little use in worrying. I do have fast socks though. If I wear a pair and then I ride well, I’ll sure as hell keep them on for the next race! How are you getting on after that injury? Fantastically. The hyperbaric chamber I had access to was just amazing and speeded up my recovery like you wouldn’t believe. It works by simulating the pressure of being 14.5 metres underwater, this increases the oxygen supply to damaged tissue and bone, which speeds up the repair. Doctors said I’d be off my feet for 3 months after my crash at Brands but in fact I was back up and walking after just fourteen days.